JESSICA BARKSDALE INCLAN is the author of twelve traditionally published novels, including the best-selling Her Daughter's Eyes, The Matter of Grace, and When You Believe. 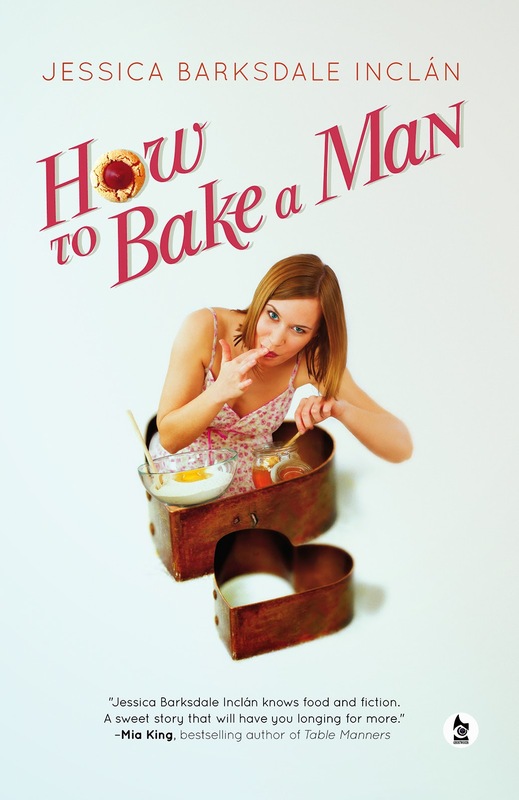 Her next novel How to Bake a Man is forthcoming in the fall from Ghostwoods Books. She has also published several ebooks and a women's studies textbook, Diverse Voices of Women. Her work had been translated into Spanish, Portuguese, Dutch, and Czech. Her short stories and poems have appeared or are forthcoming in Rockhurst Review, Flywheel, The Salt Hill Journal, The Drum, The West Wind Review, Compass Rose, Gargoyle and many other journals and newspapers. She is a 2002 recipient of the CAC Artist’s Fellowship in Literature. Her short story Open Eyes was given first prize by Sandra Cisneros for El Andar magazine's 2000 writing contest. My new novel, How to Bake a Man, features many of my favorite baking recipes, and it made me think of the many stories–of both baking failure and success–that go along with them. Twenty-two years ago, I sat with my two young sons at our kitchen (well, it was kitchen and dining room) table making my grandmother’s sugar cookie recipe. I had premeasured all the dry ingredients and the Mixmaster sat whirring in front of us. We’d creamed the butter and added the sugar. He looked at me, picked up the small brown bottle of vanilla, and poured it in its entirety into the mixing bowl. I gasped. We all stared at each other and then burst out into laughter. We forged ahead, adding the dry ingredients (I added a smidge more flour), and I have to tell you that those sugar cookies were just fine. A little too much vanilla, but most of it baked right off. My boys certainly didn’t care, and now this story is one of family lore. Even all these years later, my mother is still proud of my sister for remembering this important baking dictum. These stories present two rules I live by (mostly) when baking. Here they are with a few others that have saved me when I needed to bring three dozen cookies or a cake somewhere the next day. 2) Don’t measure over the mixing bowl. If you do spill an extra teaspoon of salt into the dry ingredients, it’s not going to be easy to dig out those extra grains. Salt, unlike vanilla, doesn’t volatize and bake off. 3) Many cookie recipes come out much better if your pat the dough into rounds and put in the fridge for at least an hour before rolling out. My grandmother’s sugar cookies certainly do. There is some magical knitting that goes on in dough, something a chemist could likely tell you about. But if your recipe tells you to do it, make sure you pay attention. Otherwise, you will end up with dough stuck on your counter, your rolling pin, your face. 4) Buttering and flouring a cake pan isn’t a joke. I’m sure you’ve had a cake stick to a pan and had to cobble it all horribly together with frosting to hide the wound. Use your fingers to get the butter (unsalted) into the corners. Dump more flour than you need and shake it around the pan vigorously. Where there is clearly no flour? Don’t ignore it. Butter and flour some more. 5) Baking is really chemistry. It feels like fun, but there are specific proportions (especially with the dry ingredients) that must be in balance in order for recipes to work. Most important are the leavening ingredients (baking powder and soda). These do go bad, folks, so if you can has been in your cupboard since you moved into the house in 1987, get rid of it. Yes, you can survive a baking disaster, much as my sons and I did all those years ago. But too often, there are the flat cookies, the broken cakes, and the overflowing batters growing like horror movies in the oven. Following the rules above as well as paying careful attention to your recipe is the way to go. You want to eat the results, right? This is the way to guarantee you will want to. Happy baking. **No compensation was received for posting. 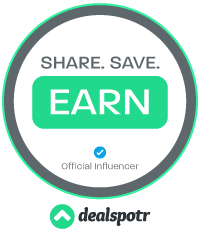 Compensation will be earned if purchases are made from the links within. This site is not responsible for the giveaway. Well that is an attention grabber, even though I knew just how delicious it was going to be! Very cool!